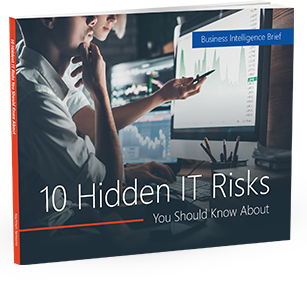 Many businesses are aware that they can be targets for hackers, and take necessary precautions to protect themselves. However, there is a new hack out there that is targeting your business’s banking information through a devious method. Be prepared, this hack could pose a difficult one to eradicate. The hack, a variation of the Man-in-the-browser (MITB) hack, is a form of Trojan horse that mainly infects a Web browser and has the ability to change a Web page, insert orders or transactions covertly. The user will not notice any change to the website. This particular hack infects user’s computers with a Shylock malware program, a new form of malware that focuses on bank accounts and financial transactions. The user goes to a banking website, attempts to log in and is given an error message stating that security checks are being undertaken. After a few minutes a window pops up telling the user that a representative from the bank will be contacting them to go over their account details. A chat window will open up and the “representative”, who is really the hacker, will ask the user for their account information. While the user and hacker are talking, the hacker will log into the account and proceed to go to town, so to speak. At this time, it seems like the hack is not widespread, but it is spreading, and it is one of the more sophisticated programs out there. To learn more about this or any other security threat that may have you worried, please contact us.